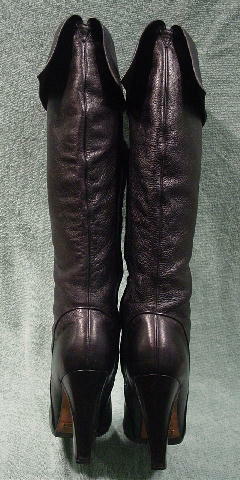 These black leather boots are by Cole Haan. 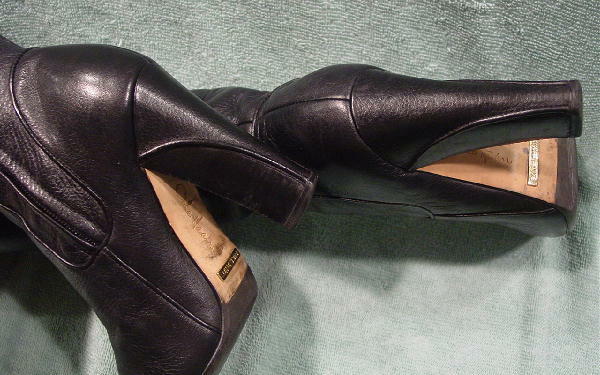 The black wood stacked heels have a black leather back strip. 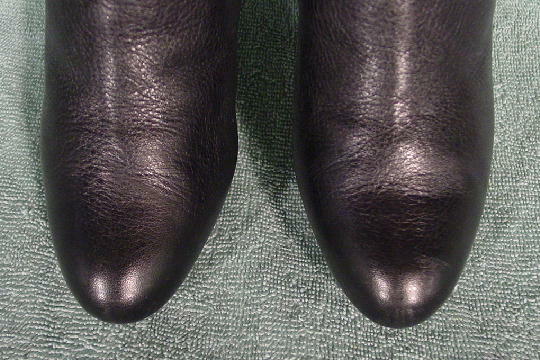 There are black rubber forepart (front) soles and below is a leather area with Cole Haan etched on it and next to that is a gold-tone metal strip with NIKE AIR etched on it, which means the boots have the concealed NIKE AIR Technology (fusing of Cole Haan craftsmanship with NIKE Air cushioning). Nike bought Cole Haan in 1988. 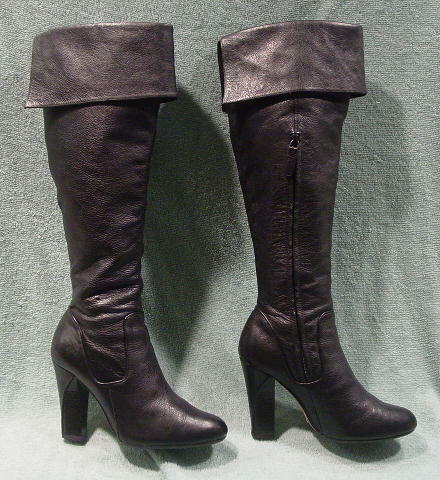 There are rounded toes and inner side 11" long zippers. They have 3 1/2" wide upper cuffs which have a wide inverted V shape in the back. 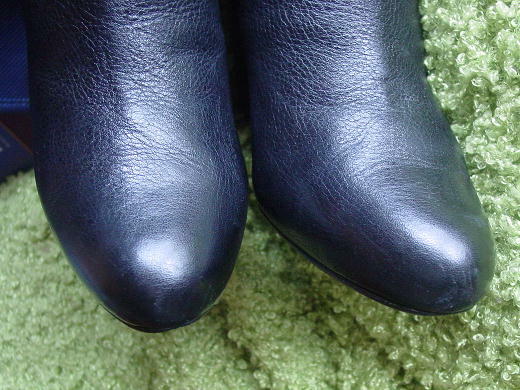 Both boots' front toe areas as they meet the soles have scrapes and the sole tips have a small worn area. The vamp areas have wrinkles. The light areas on the boots are just reflections. They're from a younger New York model who had a growth spurt and now takes a much larger size. 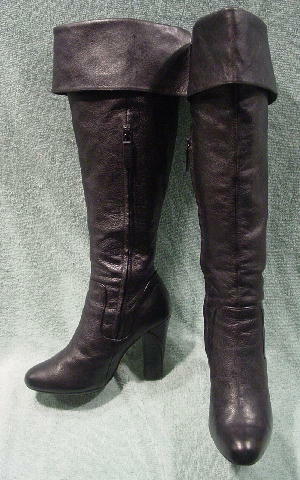 bottom of heel to top of boot 19 1/2"
inner top circumference 14 1/8"